We had another very successful year this year! Thank you to all that helped make this possible. We collected a total of 9,754 pounds of food for the Greece Ecumenical Food Shelf and a total of $163.00 in cash donations. Our students & staff donated 8028 lbs of food to the Greece Ecumenical Food Shelf- About 1,500 more than last year! Thank you to all who participated with the food drive. We surpassed last year’s total! Congratulations to Longridge, Olympia MS, and Arcadia HS! Thank you to all who made this possible. The food shelf is very grateful! Congratulations to the winning schools: Pine Brook Elementary, Athena Middle School and Arcadia High School! March 2012 – The results from the 2012 GTA Stuff-a-Bus Food Drive are listed below. We collected a total of 11,239 pounds of food for the Greece Ecumenical Food Shelf. These donations will help the food shelf for many months. Thank you to every building for participating and helping out with this very important cause. Also thank you to the teachers that volunteered picking up all of the donations. The winners of the Food Bowl Trophies are Arcadia High School, Apollo Middle School and Pine Brook Elementary School. Congratulations! Arcadia High School – 1,469 lbs. Arcadia Middle School – 326 lbs. Apollo Middle School – 483 lbs. Athena High School – 268 lbs. Athena Middle School – 220 lbs. Autumn Lane – 1,186 lbs. Craig Hill – 382 lbs. English Village – 499 lbs. Holmes Road – 317 lbs. Kirk Road – 860 lbs. Paddy Hill – 48 lbs. Pine Brook – 1,791 lbs. West Ridge – 507 lbs. 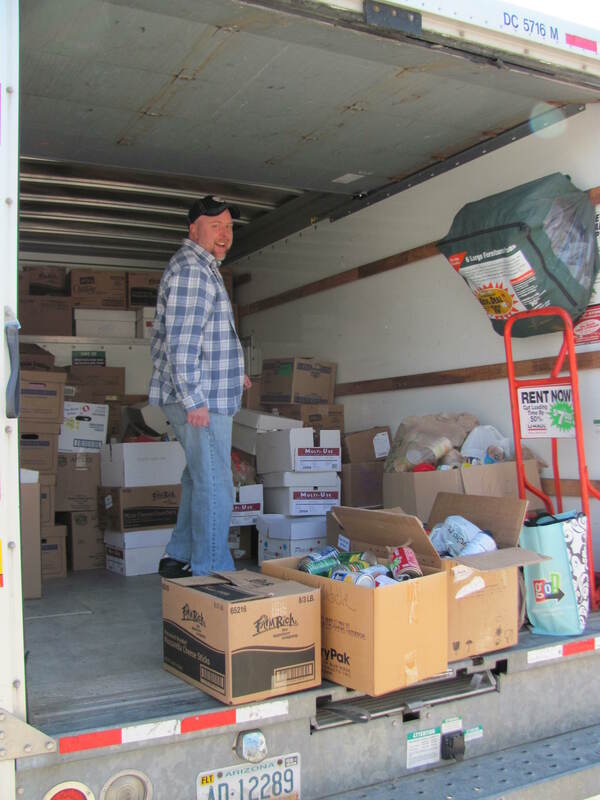 February 2010 – A big thank you to everyone who participated in this year’s food drive. It was by far the best we’ve ever had. Last year we collected 9400 lbs, and this year’s drive yielded 11,209 lbs of donations. Athena Middle, with 865 lbs. Arcadia High, with 3,215 lbs. Thankfully, the kids loaded the bus. Olympia had an excellent showing with 2173 lbs, while Athena High kicked in 152 lbs. January 2010 – This year’s drive is occurring between February 8th and 12th. All items needed! Our goal is to collect over 10,000 pounds of food during this year’s drive. If you have anyone interested in helping haul food, please let Katie Park know, or contact the GTA office. March 2009 — The 2009 food drive set a new record with 9400 pounds of food collected for the Greece Ecumenical Food Shelf. This brings us to a four year total of over 30,000 pounds of food donated through our district to help the people of our community. A special thanks must go to Pinebrook, who held a faculty basketball tournament to encourage donations. Longridge was also a major donor this year, as well as Arcadia. The generosity of our students and staff is truly amazing, and we thank you for your continued support. What a great community service project GTA!! Well done and stay united!